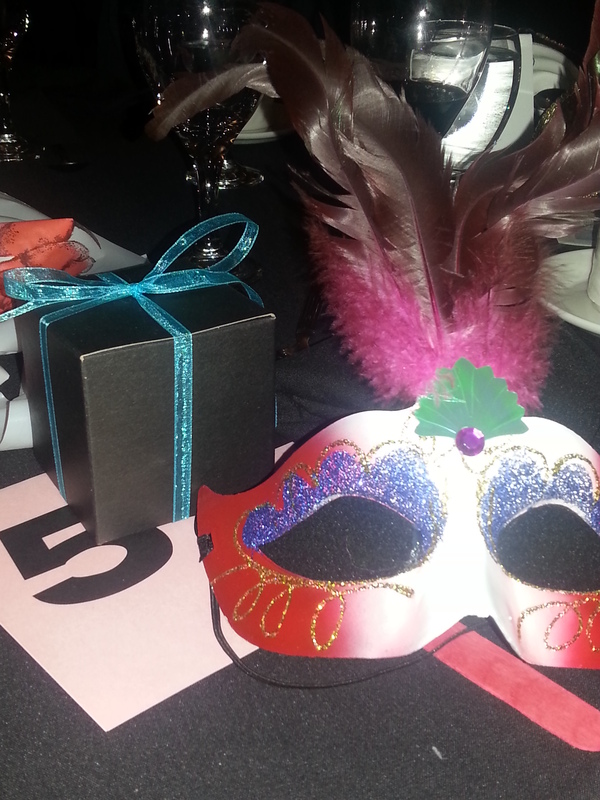 Masquerade Gala | Turning my world upside down! 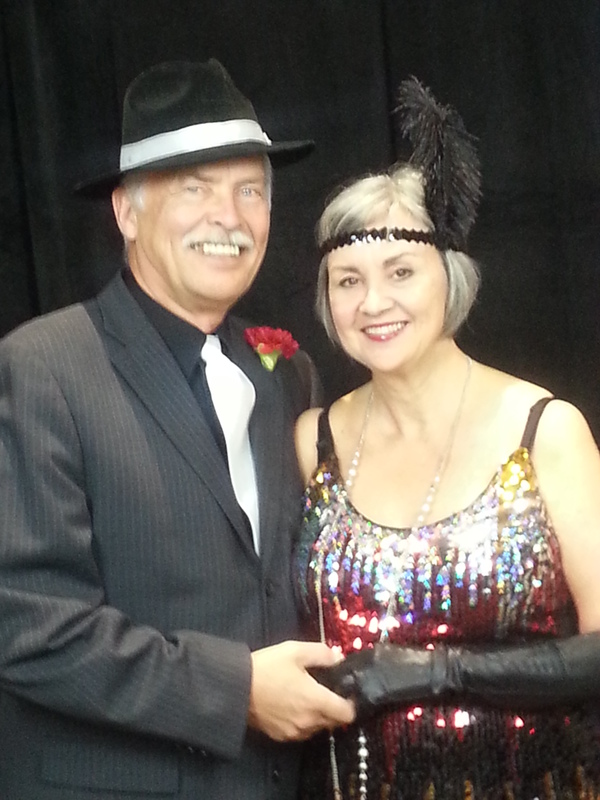 Last Friday, Leon and I attended the Langley Pos-Abilities Masquerade Gala at the Cascades Casino Resort. What an event! We arrived to check in and were asked to have our photo taken for a souvenir later. Our costumes for the evening were me as a flapper and Leon as my gangster husband. We then entered the beautifully decorated ballroom area, all done in medieval themes complete with music from the Langley Community Music School String Quartet. The evening was meant to draw attention to the difficulties of being disabled, so we were each given a mask that blacked out our vision. This simulated being blind. It was an interesting and challenging way to eat our dinner. I found, if nothing else, that the conversation with Cloverdale-Langley City MP John Aldag (more on John Aldag in future posts as I trace back these last few months) was enhanced by my lack of sight. We were all afraid to spill and embarrass ourselves (I was especially worried about my glass of wine), but we passed with flying colours! After dinner, we were treated to the winning entries of the Pos-Abilities challenge when students had videoed Leon, John and several others as they tried living in a wheelchair for 4 hours. Unfortunately Leon and John’s videos did not win, so we didn’t get to see their experience. The winning videographers were awarded their scholarships and the donors thanked. The rest of the evening consisted of a karaoke for the deaf, a live auction at which I purchased an area rug, a silent auction which netted me a lovely purse and a necklace worth $1100 which was hidden in one gift box that each of us had purchased for $10. Can you guess who won the grand prize? Leon, of course!! But he doesn’t like to wear pearls so he gave it to me as part of my birthday gifts. The pendant is a Tahitian pearl that looks somewhat like a stylized polar bear. It hands on a long white gold chain. I will have to wear it at our next event. What a fabulous event! It was the first of what I hope will be an annual event in our lovely next home of Langley.